A luxurious flat that is perfect for city strolling, these feature a fun black pom pom with a suede black leopard print on top of a crackled pewter leather. A pillow cushioned footbed provides exceptional comfort the second you step outside. 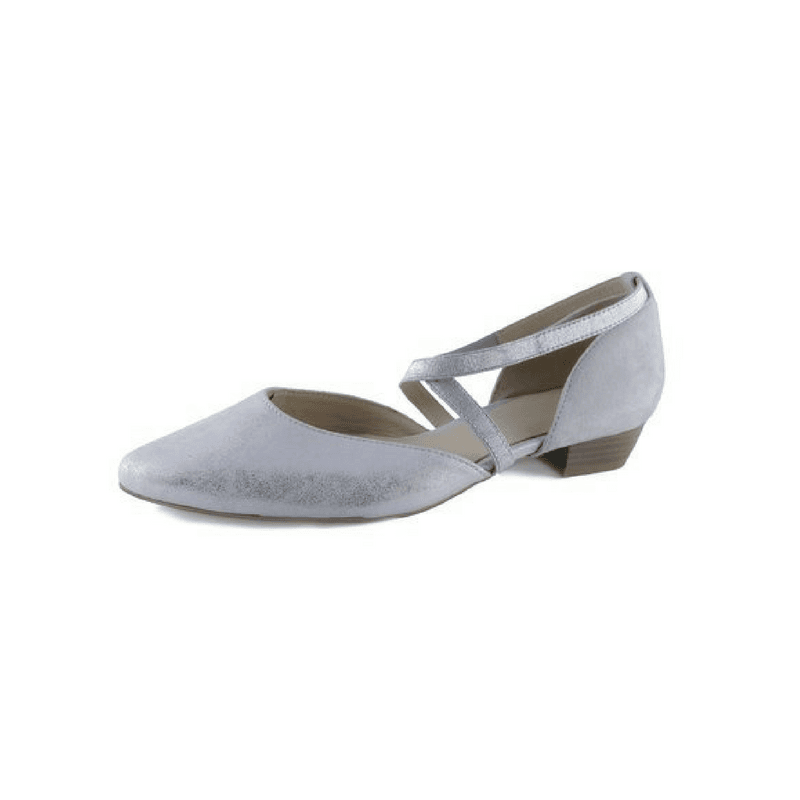 Keep it classy in these suede double strap mary janes. Crafted in Italy with a cushioned footbed and flexible outsole, these feature tonal metallic leather straps with feminine buckles. Perfect for the office and available in black and beige suede. 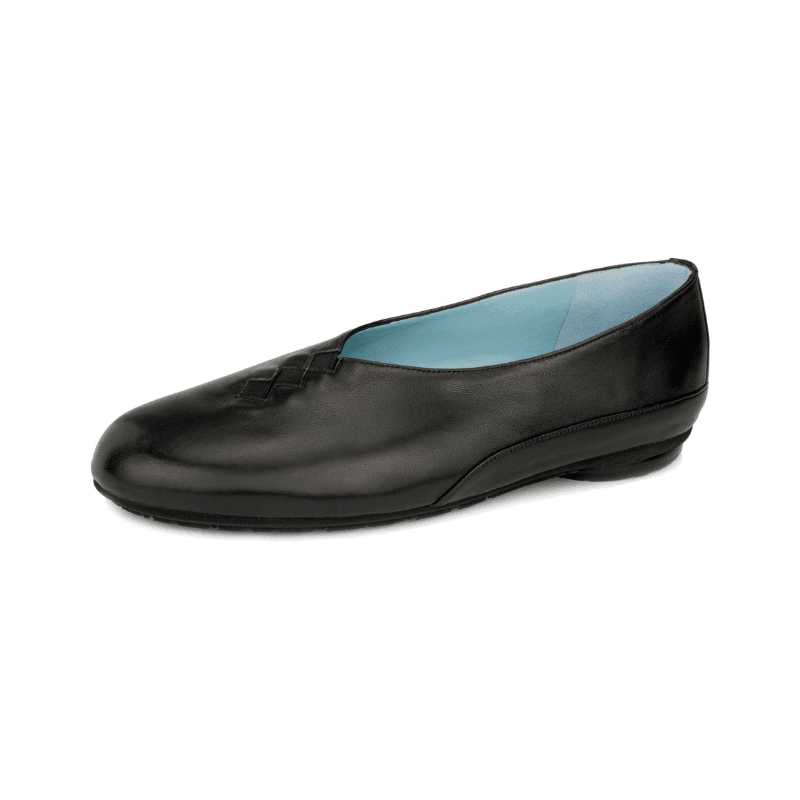 A lovely little dress shoe to go with your little black dress! Available in a classic black suede or metallic silver with satin elastic straps, these feature an almond shaped toe and a low heel. 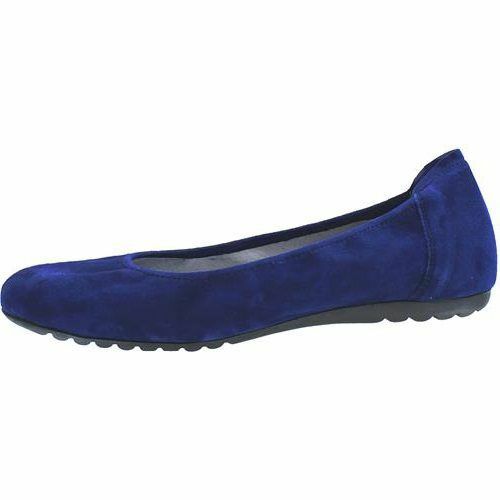 A great shoe for everyday, these flats are available in suede and leather, both with a patent leather captoe. A flexible rubber outsole moves and bends with every step. These flats are as good as gold! 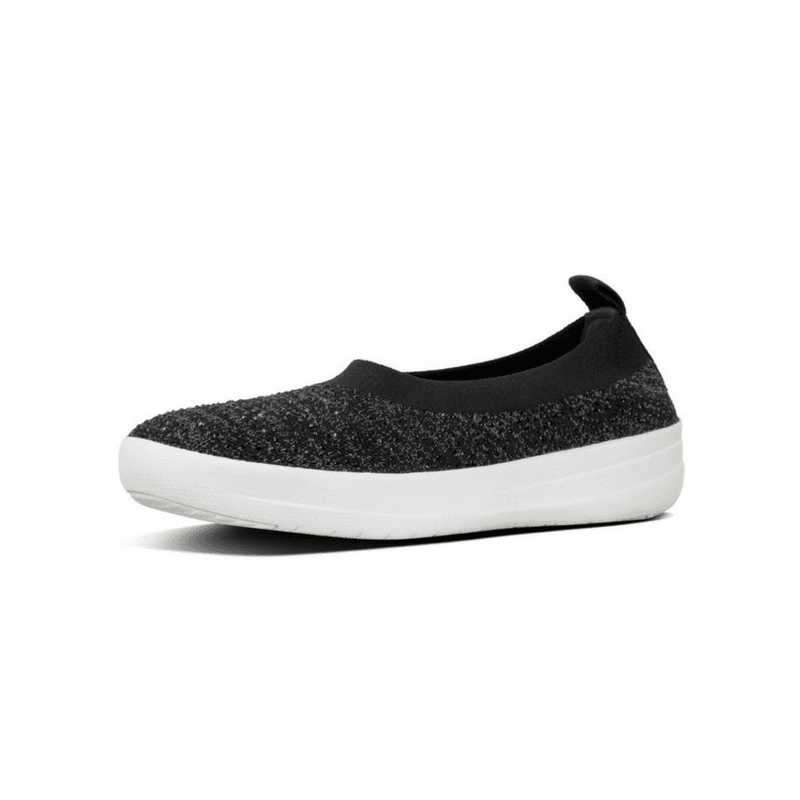 Light as a feather with superb arch support and versatile uppers, these are constructed with an adjustable toggle for a secure fit! We can't keep these in stock! 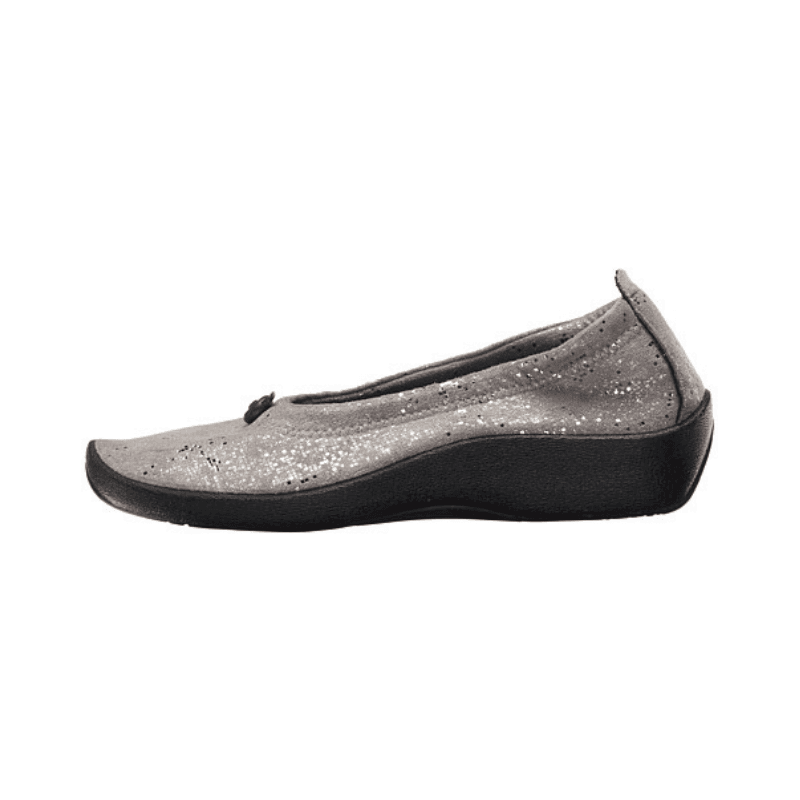 Available in a stretchy upper with sparkly crystals, these ballet flats are as comfortable as slippers. Cushioned with support in all the right places, these weigh next to nothing and are a favorite for travel. 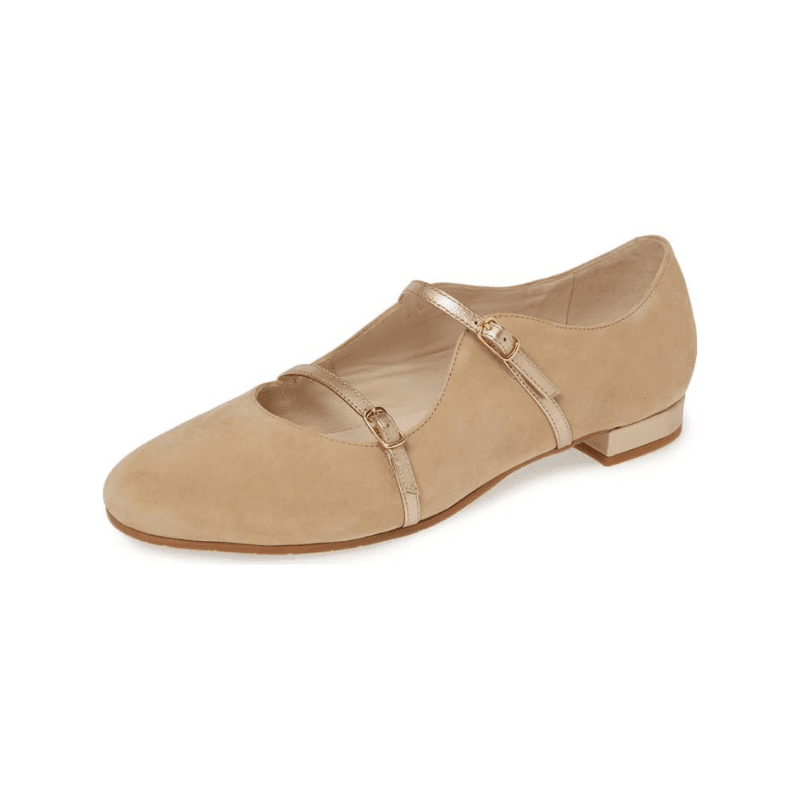 Breeze into brunch (or any event, really) in these popular suede flats! Crafted in Spain with a cushioned insole, flexible outsole, and excellent fit, these seasonless ballet skimmers are wearable all year long! Lovingly handcrafted by the most skilled of artisans, these ballet flats feature the finest and most luxurious nappa leathers, undeniable comfort, and ageless style. A favorite for travel and everyday.